Not exactly rocket science! It creates a nice thick paste that I mixed together in an old cup. I went to work with an old toothbrush and was able to clean a 5' x 6' area with this amount. After scrubbing the grout, I let it sit for ten minutes, then wiped it clean with a rag and hot water. (I filled up a bucket before I started because the rag constantly needed rinsing out). I was pretty pleased as I scrubbed along...no, it wasn't sparkling, but it was looking better. When I finished, I walked away to do a few other things before the Smurfs got out of school. There is nothing like a little spring cleaning and elbow grease to get you in a good mood! now you should go to that hardware store and get some grout sealer so you can ward off doing this for a few years - it will seal the grout so every time you mop and get dirty water (can even be the least bit dirty) it doesn't sink in and slowly become dark again! They sealer will tell you on the bottle how often to re-seal. What if your grout color is a light taupe? Will this bleach out the original color? Outstanding! I moved into a place with no less than 850 sqft of filthy grout that I will begin scrubbing this weekend. Thanks for the excellence! This is awesome! I'm trying this tomorrow during my son's nap. I have dark grout. Any suggestions? We have light beige grout that was BLACK. I did this today and I'm freaking out excited. Like you say, I want to tell EVERYONE and invite them over to see the 5x6' patch that I finished today. YAY YAY YAY. You do NOT know how excited I am!!!! seriously, it was black and now it looks sooooo beautiful! I rent and also have semi dark grout on ceramic tile and worry about the bleach.. I'm also starting to wonder if maybe the grout is just dark from being dirty.. Lol! Thank you for sharing this, although I have a love/hate about this post. I love how clean it got my grout, but I hate that now I have to go through my entire house since it's all tiled. Looks a little weird with light gray in the kitchen and black everywhere else, haha. I added a bit of water to the solution to make sure it didn't bleach out my light gray grout and also didn't let it sit for 10 mins. Just did a bit at a time, then rinsed. Worked amazingly. Thanks again! Great idea!! We are doing this today - and I have a question. Does it matter what type of bleach you use? I notice in the picture that the bleach is the 'ultimate' type. That is a bit thicker than regular bleach. Does it matter which type we use? Thanks!! Happy Friday!! Holy BATMAN is right!!! Just did my tile yesterday, it looks like new tile! Thanks for the tip!! WOW, that is an amazing difference - and just what I need! I have a pretty similar color of tile and grout & was just noticing the other day how grimy it looks. I am so happy I found this. Excellent Post. Thanks for the new information. Ug I have been scrubbing mine for over a week now with vinegar and baking soda, and it is taking so long! I am going to have to try your way out!! Thanks for sharing! I used hydrogen peroxide and baking soda and got the same results without the yucky bleach chemicals. You also HAVE TO seal the grout after cleaning it with bleach... another painstaking job! I bookmarked and save your page. Thanks for the helpful blog. Use your carpet cleaner on the rinse afterwards instead of on your hands and knees. Saves your hands and knees and gets up all of the baking soda as well! Resolve high traffic works good too. Just spray on the grout let set for 30 minutes and rinse off. I am going to try this on the grout on kitchen counters, coffee pot exploded leaving grout with a coffee stain. Hope it works. My husband sent me a link to this from pinterest because I am always complaining about our tile grout. IT WORKED!!! Thanks! 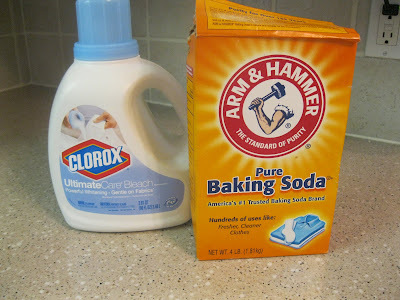 You have written glorious about DIY Homemade Grout Cleaner. i cannot wait to try this. years ago a friend came over with a miracle bottle of cleaner, started in the middle of my kitchen. THE MIDDLE. LOTS and LOTS of tile floor throughout the house. needless to say, several weeks later i had finished it all. Now, we have much less tile, but still dirty stuff. i am excited to find a cure. Thank you! 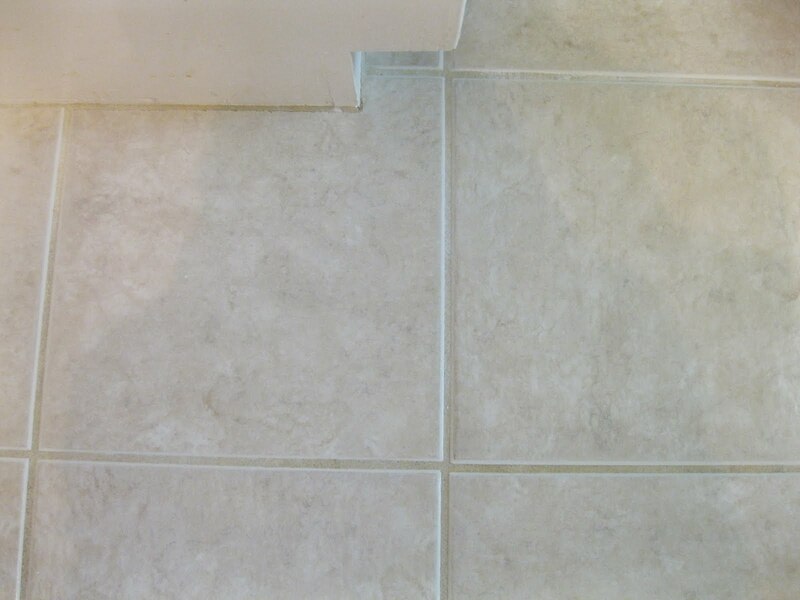 My master bathroom floor grout hasn't been this clean in a long time. Doing the hall bathroom next. Wow! That looks amazing! I’ve never seen any grout looking that clean! And the formula for the cleaner is very easy, too! This will definitely be a money-saving cleaner! I just used the "bleach" left over from streaking my hair on my bathroom grout. It worked instantly and the shape of the bottle worked perfectly to squeeze just along the grout line. Thanks for posting this tips here because I also teach this on my office friends. I only do this inside my home but in our office, we have office cleaning services Melbourne that are doing their job in cleaning it and we are not failed on choosing them because they are the best in terms of cleaning. There are many carpets cleaning services that offer the best for household as well as commercial works. They have excellence equipment with latest techniques. As one of the service companies, they try to provide with client satisfying results. Thanks for sharing this post. I really needed a recipe like yours because I'm on a tight budget and really can't afford any expensive cleaners. My kitchen floor was in a similar condition. I used your mixture and it worked great, the grout now is yellow as it was, not almost brown. Thanks for the idea! The best carpet cleaners i have seen had years and years of working on different project which made me think the best approach is to search for olrder companies.Even http://www.ezsteamers.com/ talked about that. Easy to use, lightweight, steam lasts a long time, reminds me of a snorkeldorf. suppliers and customers http://techclean.co.nz/ we will do out best to make your place, carpet, SHINE! If you are looking for quality carpet cleaning in the Seattle area call the Best! We use top of the line equipment to get your carpets cleaner! That's how it was for me. I moved, thought the place had black grout, then looked in the cupboard to see white grout. It's was like a crazy home make over when I got done scrubbing! Professional office cleaning services are required by all large businesses, most mid-sized businesses, and many small businesses. متعددة هو أن يكونوا على خلق وحس واعي للتعامل بأمان وبأسلوب حسن مع عملائنا الكرام. ohhh its look totally different. i loved the decoration too much. 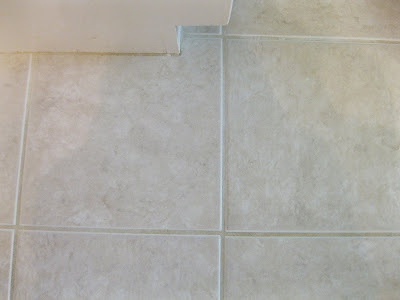 Hire Grout Cleaning services in Minnesota affordable and same day service. I like you blog very much ..This blog is really usefull and i also very link and love..
Carpetcleanersniceville is providing #1 professional tile & grout cleaning services in Niceville. We make sure that your property looks as good as new. Grout cleaning is very necessary especially when you have white tiled floors. I don’t like to do cleaning jobs but it is an important task. So, I have hired tile cleaner from Marks Tile and Grout Cleaning Melbourne and they clean my Grouts white floor which becomes yellowish before the cleaning now appear white and shiny again.Thank you so much for clean my white tiled Grouts. Now I m really very happy for seeing my home. Just want to provide some worthwhile feedback for SK Tile and Grout Cleaning Melbourne of Tile stripping Considerable work. They guys came early prepared my house and then started the drilling job, they smoothed my flooring n vacuum and split my old tiled floor to totally new floor. Absolutely overjoyed with the result. I was a little anxious as we were installing long plank tiles, the ones that look like actual planks of long wood. It is a tougher job than square tile or shorter planks, and the foundation must be just right. But the guys which I hire, execute the job dazzlingly and did that almost unmanageable job. I M VERY DELIGHTFUL WITH THEIR SERVICE AND RECOMMEND MASTER CLEANER TILE AND GROUT CLEANING MELBOURNE FOR PERFORMING ALL TILE RELATED JOB!!!! I had to experience a horrific incident recently. My Wife was walking around in the room with a cup of coffee. And, suddenly due to the sudden jerk, the entire coffee spilled all over the floor. And, our precious floor tiles got tainted with it's spots. We immediately, Back 2 New Tile and Grout Cleaning Melbourne for help and they rescued the tiles of the floor from getting dis-coloured. The tools and the techniques they used for cleaning the tiles were top class and there was no scope for complaint left. 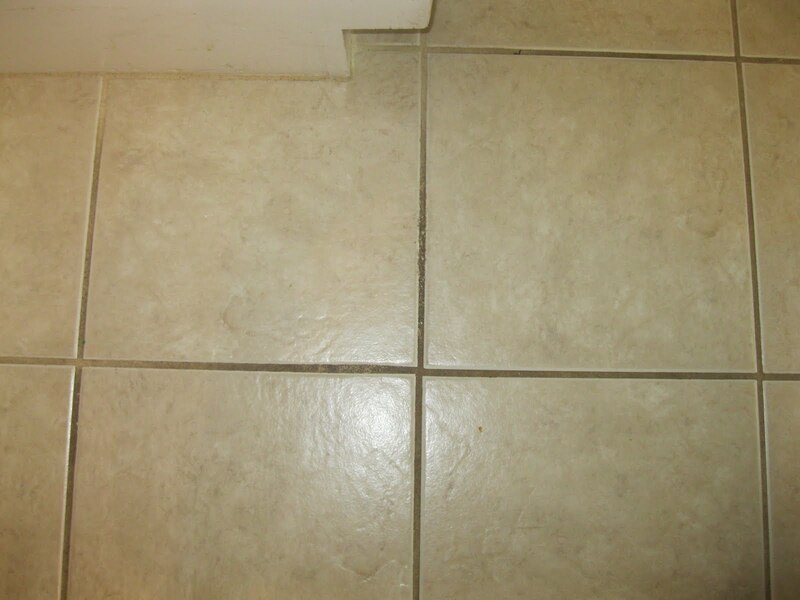 We would like to give the best ratings to the Back 2 New Tile and Grout Cleaning Melbourne. Few days back, our 3 year old was playing on the floor and we were having some quality time with our kid. Suddenly, my eyes dart to some cracks which had developed in the grout lining of the floor of our kid's room. Also, I noticed that due to these cracks, it was unable to retain the moisture from going into the layers below. 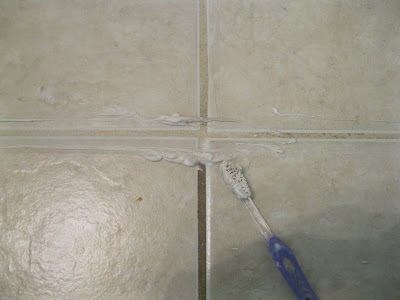 My Husband immediately warned me, saying if we don't tackle this situation now, the entire grout lining will detoriate. I had heard of the Spotless Tile and Grout Cleaning Melbourne and their superb services. We decided to call them for help, and guess what they solved our issue within 2 days. All the cracks have disappeared and they have guaranteed us that the grout lining is secure for the next few years. I bought a new home for my parents in my hometown. The house was in good condition and everything was perfect. But, there was only one problem with the tile floors, the grout linings had not only got dis-coloured but some cracks were also visible. I wanted my parents to have the best of everything and this was a special gift. The house was vintage and we did not want it to loose it's historical value. 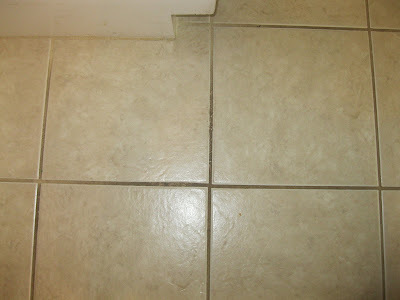 We called the Sparkling Tile and Grout Cleaning Melbourne , and they worked according the the instructions given by us. They used the latest techniques of grout coloring in order to restore the colour of the tiles. This technology also, fills the cracks and your grout lining is safe for the next few years. Thanks to Sparkling Tile and Grout Cleaning Melbourne. Grout cleaning is very necessary especially when you have white tiled floors. I don’t like to do cleaning jobs but it is an important task. So, I have hired Back 2 New Cleaning and they clean my Grouts white floor which becomes yellowish before the cleaning now appear white and shiny again.Thank you so much for clean my white tiled Grouts. Now I m really very happy for seeing my home. It has been few years since we got the tiles of our house changed. I and my husband are working individuals, so we don't get enough time clean them or get them changed frequently. One of my friend suggested to get the tiles polished. He suggested that this service would only take 2 days and we could save some of the money as well. The tiles will retain their lustre and shine like before. We abided by his advice and booked an appointment with Eagle Tile and Grout Cleaning Brisbane. To our surprise, they not only finished the entire work in a single day, but also did a perfect job. We cannot thank them enough, because, now our floor looks shiny and elegant at the same time. We get our tiles and grouts cleaned up once in every month. Unfortunately, the company we hired to do this work last time did not deliver good results. They did a disappointing job and the stains/spots were not cleaned properly. We came to know about Green Cleaner Tile and Grout Cleaning Brisbane through an advertisement. We browsed their name on the internet and found out that they were the best professional help available in our town. My husband immediately made an online appointment with them and within the next few hours they scheduled the service for us. They came and did the entire work, without even bothering us once. We only had to book the appointment and pay them at last, rest of the headache was taken care of. We would happily recommend everyone to hire Green Cleaner Tile and Grout Cleaning Brisbane for getting their tiles cleaned up.They provide the best service using the latest tools and techniques. Our bathroom tiles were accumulated with a lot of dirt and hard water stains that were almost impossible to clean even with daily cleaning. We have used literally hundreds of products but the result was always zero. Recently we have visited to our neighbors’ home for a party and we were surprised to see their sparkling bathroom and home tiles. Asking the products they use to maintain the shine, we came to know about Deluxe Tile and Grout Cleaning Brisbane and their extraordinary cleaning solutions. In addition to the extremely user-friendly customer care, we loved the fact that they use extremely mild cleaning agents to remove dirt and hard-water stains from the tiles. We are completely satisfied with the Deluxe Tile and Grout Cleaning's services, and we will recommend it to all who are dealing with dirty stained tiles. After trying numerous products to remove the tough stains and debris from the tiles, I was almost hopeless and planning to buy new tiles for our home. Just then, my friend suggested me to try the professional cleaning services for my tiles. After searching for weeks over the internet, I get to know about Tip Top Tile and Grout Cleaning Brisbane and after contacting them for the services, my tiles are as great as new and have retained their shine that was diminished with time. Personally, I find this company extremely reliable and efficient. I would love to recommend this company for all those who are looking to replace the tile due to their dullness. Try them to retain the shine of your tiles, you won’ be disappointed. Although it has been only a year since we installed the new expensive tiles to our bathroom, they are getting extremely dull with every passing week. And we were sick of changing the tiles every time. Due to hard water in our area, we were now looking for other flooring options for our bathroom. My mom suggested me to try the professional services of Emu Tile and Grout Cleaning Brisbane. Surprisingly, they made our tiles again as great looking as new. I’m now a fan of Emu Tile and Grout Cleaning Company and recommend it to all who are looking for a reliable and affordable tile cleaning services in the area. Tiles were the dirtiest parts of our home until we contacted Wet Tile and Grout Cleaning Brisbane for a professional tile cleaning. They not only helped us to get rid of tough water stains and debris accumulated on our tiles from years but also helped us with some really useful tips that are still helping us to maintain the shine of the tiles. Along with the brilliant services, the thing that made me love this company is the use of chemical-free cleaning agents. We have toddlers at home and were worried about the effects of chemicals on them, but on having a look at their cleaning agents, we were sure that the cleaning process won’t harm our kids. We would recommend Wet Tile and Grout Cleaning company to all the homeowners who are looking for a reliable and effective tile cleaning company in the area. I am too lazy to work and investing my energy in cleaning the stuff is not me! So I usually hire cleaning companies to do the tasks for me. Lately I have been very disappointed with the kind of services my old cleaning company provided. I got in touch with Oops Tile and Grout Cleaning Brisbane on Google and was initially sceptical about their services. But, man they amazed me. I hired them for cleaning my tile cleaning and they did the job pretty well! They disinfected and sanitized my tiles like new and also provided me with additional tips of taking care of Tiles And Grout. Most of the tile companies that we have contacted so far have literally disappointed us by their services and the way they handle their customers. This made us searching for effective DIY to clean the tiles all by ourselves. But, the results are not at all acceptable. We came to know about Spotless Tile and Grout Cleaning Brisbane through the internet and thought we should give them a try. The cleaning experts of the company looked promising to us and showed utmost professionalism to their work. Along with a prompt service call, we got the same day service and a 100% customer guarantee. 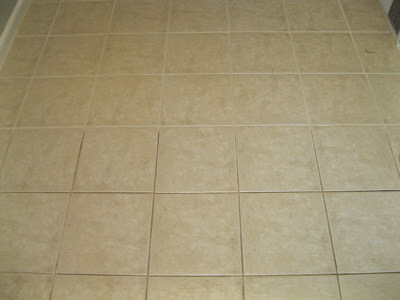 And frankly speaking, what else could you ask for while hiring an affordable tile cleaning company. We would surely recommend the cleaning services of the company to all the homeowners of the area to make their home a cleaner place to live in. Finding a reliable tile cleaning service was a pain for us until we got a serious recommendation for Sparkling Tile and Grout Cleaning Brisbane from my colleagues. 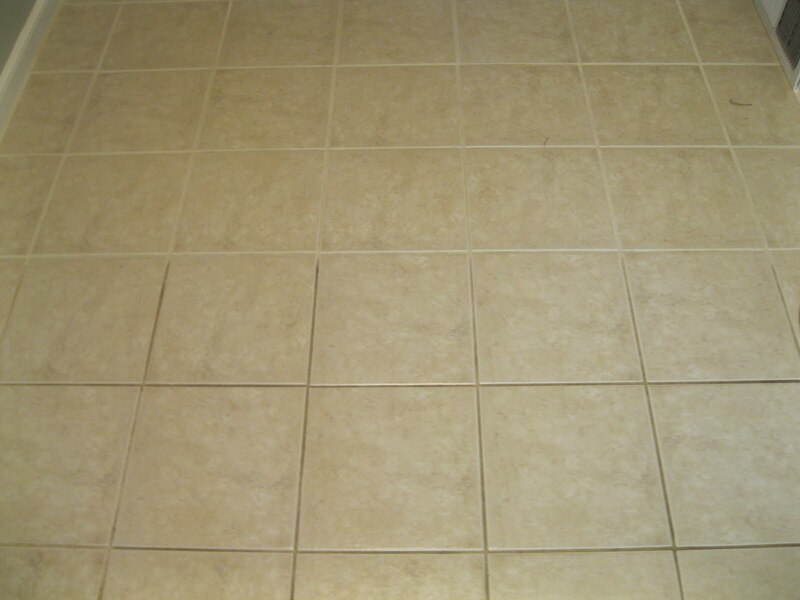 They were using the tile cleaning services of the company for a long time and were satisfied with the performance. We filled the service request form on the company’s website and surprisingly we got a return call within an hour. The experts asked for a free check and then offered us the quote that was extremely reasonable. Along with this, the cleaning experts are fully equipped with modern cleaning agents and equipment that made the cleaning process much faster than our expectations. We are now a trusted customer of the company and would like to recommend it to all those who are after a reliable tile cleaning company. Peters Cleaning Services is good for all your tiles and grout cleaning. They are cost effective. I booked them last month for my kitchen tile cleaning. They have the perfect knowledge of doing the work. They really impressed me with their services. I found Peter Tile and Grout Cleaning Brisbaneg is not very expensive. I would like to recommend Peters Services to all of you for your home and kitchen tiles cleaning. If you are looking for a tile cleaning then go with Zenith Tile and Grout Cleaning Brisbane , they provide highly recommendable service. I hired them and i m fully satisfied with their service. These guys did a brilliant service. They send their professional and experienced team same day of booking. The team is very cooperative. They cooperate with me and understand my tile and grout very well. SO I THANK TO BECAUSE THEY GUYS CLEAN MY TILES WHICH WAS STAINED BY MY PARTY HALL. I HIGHLY RECOMMEND THEM. My kid accidentally spilled a color buckt on the tiles, and I had no idea what to do next. I randomly called OZ Tile and Grout Cleaning Brisbane by extracting contact from Google, and I must say, they are worth every penny spent! I got a call from them immediately and they sent a team of professionals to my home for an inspection. They not only expelled the Colors out from my tiles but also made my tiled floor shiney So that it attract the visitors to my home instead of mold and mildew. I would recommend them to everyone. from a reputed company and these guys come within 2 hr and clean my floor and after the job which they perform my floors look so clean.Thanks to them. These guys perform I highly recommended job!!!! We loved this company!! Whether it is about the service promptness, brilliant quote, or the procedure of cleaning the tiles, all of them are top-notch and flawless. We got the service call within a couple hours after sending them the request. In no time, Marks Tile and Grout Cleaning Brisbane sent the expert at our home to get a detailed look at the condition of the tiles and provided us the estimate. The thing that we loved the most about the company is their professional approach to deal with the customers. We strongly recommend you to try their services and you will also fall in love with them. Are you guys are wondering a tile cleaner for your dirty tiles then go with Fresh Tile and Grout Cleaning Adelaide. I reccommend them because i gain a very good experience from them. I hired them for cleaning of my ceremic tiled floor which has a plently of mold and meldew. They came and remove everythimg from the tiles and make them clean, shiney and attractive. I hire Pool pavers Tile and Grout Cleaning for the renovation of my floor and they guys did a brilliant job They did the job exactly what i want. They complete the whole work in a week and they charge reasonable price that you can afford easily I hired them and got a very good experience. I advise you to all, that if you also going to hire a tile cleaner then definietly go with Squeaky Clean Tile and Grout Adelaide! Just want to endow some worthwhile google, facebook for Terrace Tile and Grout Cleaning of Tile stripping significant work. They guys came early prepared my house and then started the drilling job, they smoothed my flooring n vacuum and split my old tiled floor to totally new floor. Absolutely overjoyed with the result. Best Professional Tile and Grout Cleaning Services in GERMSLSS TILE AND GROUT CLEANING ADELAIDE They removed blackness from the grouts and tiles look like new now. Highly recommended Company. Cleaning Day are just ultimate saviors! I had a badly Tiles. Basically, we went on a foreign tour for a month, and when we returned, my tile and grout – everything was dirty with a thick layer of dust. My husband suggested Sandstone Tile Cleaning Adelaide as his friends have hired them a few times. And yes, they actually worked wonders. They not only helped in cleaning the tiles and grout, but also offered us a quick discount as a part of their promotional scheme. I am glad and satisfied with the services I received. Without a doubt, they are the best! Are you guys are looking for an ultimate and reliable cleaning company for Tile And Grout then go with my decision - Concrete Sealing Adelaide They deliver ultimately incredible service all over in Adelaide. My tiles was damaged and I hire them and receive an extremely incredible service within 2 hours of my booking date. So if you want a brilliant service then come to koala cleaning. I highly recommend them not only for tiles but also for Upholstery, Carpts, Curtains too. I recently shifted in a new home and their tiles are in very bad condition. Especially bathroom tiles have no. of cracks and dodgy stains. I hired Limestone Tiles Cleaning and make my tiled floor clean. Thanks to Spotless Tile Cleaning! Thanks for the article I agree with this completely You need carpet cleaning professional and they need to use advanced equipment and insured cleaners. I really loved your article, and totally agree with your article. I have faced some problems while cleaning grout. Actually, this low-quality grout hardens in chunks and wears off. And ultimately tiles loose ups and comes out. For deep root stain it is not possible and time consuming job, using scrubbing with vinegar and baking soda, need something powerful product. And, even using the vinegar, I found out that it is losing the natural shine of the stone tile. And I found product Imperia deep clean, Sentura and Caponi a product of pFOkUS which an excellent, adheres and covers all the grout lines perfectly in a single coat as if it is a new grout. There's no going back now, these floor cleaners full fill all my needs for my home improvement. These products worked fine for me! Thanks for this beautiful article :) God bless you! Hi, thanks for the great tips. Bleach and baking soda is a really affordable and natural way of getting rid of grout stains. I will let my part time maid try this out! Well said. This is an informative and educating post. I love your blog and your tips. You can also visit https://lacreme.com.ng/ to read more interesting tips on cleaning services, both on home and industrial cleaning services. Nice Blog, get Vinyl Signage Printing and School Bus Painting Services by Kalakutir Pvt Ltd Delhi, India. Working and SUV driving wife to J and mother of two. Loves shopping, jewelry, wine (chardonnay, please!) and dining out. Stay-at home, minivan driving wife to Mr. T and mother of two. I like running, organizing, recycling, mountains, campfires, sunshine, old houses, musicals, waterfalls, architecture, covered bridges, bungelows, thunderstorms, fresh cut grass, vintage aprons, and clean sheets. Accessorize and Organize. Theme images by Ollustrator. Powered by Blogger.